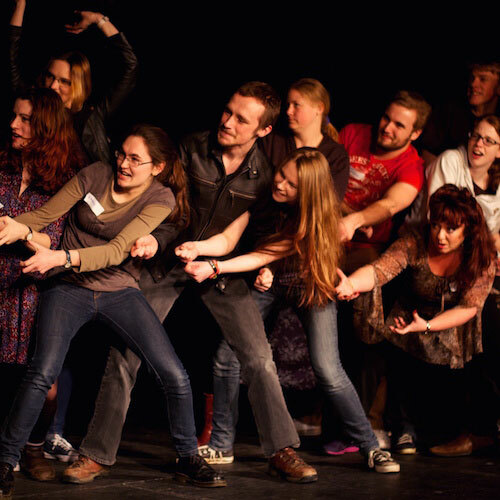 This course takes place on Monday Evenings at the Bristol Improv Theatre, over six evenings. For other course times and locations please see our main Discovering Improv page. Beth has been improvising since 2015. She trained with Vancouver TheatreSports and Instant Theatre Company in Vancouver, Canada and performed with numerous improv groups in the city for two years. Since moving to Bristol, she has played in Pick Your Own Fairytale and is a cast member and Assistant Director of The Bish Bosh Bash! Beth has a degree in Physical Theatre and is passionate about discovering connections through play.